Sandium Heating and Air Blog: Carrier Air Conditioning - Is It Right For You? 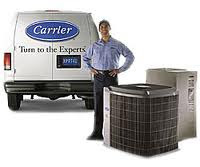 Carrier Air Conditioning - Is It Right For You? Carrier is best company when it comes to selecting air conditioner for your home and offices. I agree - Carrier is the best.